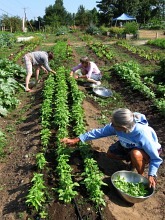 Home › Green Think for Sustainable Rural Living › LOCAL FOOD – Supporting local farms and creating home gardens › Home and Community Gardens – Grow your own! The Big Island of Hawaii is seeing a growth in the number of households concerned about solving the food security problem with their own hands. Given that the state of Hawaii has no more than a 7-day food supply in storeage should the shipping of imported foods cease due to a natural disaster, how can we be prepared to feed ourselves? Both for better daily nutrition and for the security of our wellbeing in an emergency? In fact, we are not alone in this concern. 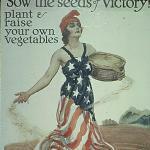 Nationwide, there is a movement to return to the self-sufficiency practices once shared during the growth of Victory Gardens promoted by Eleanor Roosevelt during the Second World War when fresh food was scarce and homegrown really was a pragmatic solution. And it is encouraging to remember, the Hawaiian Islands once supported a larger population than lives here now, using only locally grown and harvested foods. Homegrown and community-garden-grown foods can teach the adults and youth in any rural or urban community – from the White House to a small rural town – to understand and value the effort that goes into producing the food in our meals. It opens a door to the enjoyment of the out of doors, the food cycle, the pollinator species, the miracle of photosynthesis, our reliance on weather, and the best use of natural resources to perpetuate life. Plus – we get to taste our success! 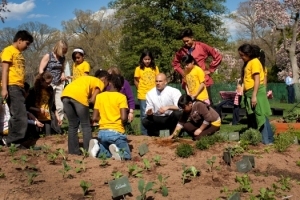 School-grown foods is another important food movement spreading aross the United States. New found relationships between local farms and local schools are building better fresh food connections for school cafeterias. School gardens are bringing the freshest produce right to the student table. Student nutrition is improving. 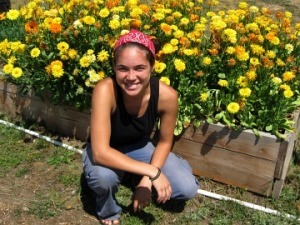 Interest in student’s home gardens is growing. And future gardeners and farmers are catching the farming bug! Community gardens are sprouting up all over the place on the mainland and are a great way to maximize the potential of locations with fertile soil, adequate solar exposure, and available water. In addition to producing food and flowers in ‘pea-patch’ garden plots tended by individuals, community gardens are also bringing nourishing foods to Food Banks, schools, and other groups in need of help to eat better, eat fresher, and get through challenging times. Community gardens are a chance to get outside and enjoy the air and, sometimes, to get to know our neighbors a little better. One Island’s Sustainable Living Center is developing demonstration homefood gardens and hosts a butterfly garden to help us all learn about the role of pollinators in the production of our foods. Watch our calendar for homegrown workshops!